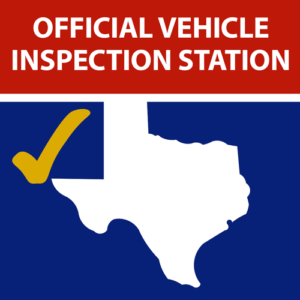 Since 1959, Southwest Muffler & Brake has been providing Houston, Texas with complete auto repair, custom performance exhaust, catalytic converter replacement, and Texas state inspections. We also offer free computer diagnostics and free car repair estimates. We have remained family owned and operated since our startup as a chicken processing warehouse. Our original muffler shop was the first place in Houston to sell performance dual exhaust kits and cat back exhaust pipe systems. We are proud of our independence and currently have two locations servicing Houston, Cypress, Katy, Stafford, and Sugar Land. Our goal is to offer convenient, immediate, one-day service and quality auto repair performed by professional mechanics and welders at a fair price. We believe the negative perception of the automotive repair industry has provided an opportunity for honest repair shops like ours to exceed the customers expectations. Let us take the fear out of car repair and become your go-to Houston auto repair and muffler shop. We’ve been providing Houston, TX with auto repair & custom performance exhaust since 1959. Free computer diagnostics and free car repair estimates. No purchase necessary. Convenient, immediate, one day service performed by professional mechanics and welders. Quality name brand parts – KYB, Magnaflow, Flowmaster, ACDelco, etc. – most with lifetime warranties. Complete auto repair and custom exhaust. I mean…come on, who doesn’t like a deal? Visit, Call, Email, Like, Follow. You decide!